South Africans often consult digital geospatial services to make purchasing decisions. The economic and environmental impact of consumers using Google Maps and digital geospatial services is huge. This is according to search engine giant Google, which this week released a research report, compiled by research group AlphaBeta, showing the impact of digital geospatial services on economies around the world. 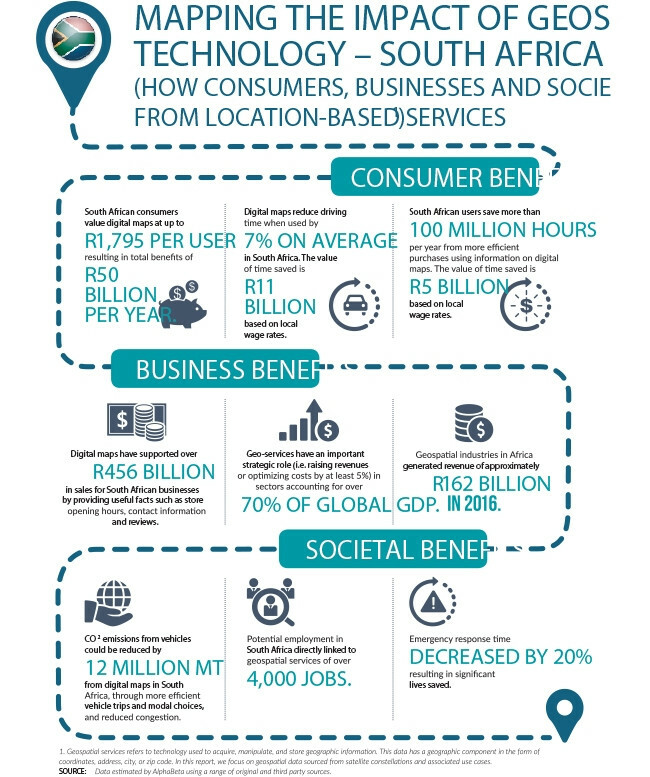 In the report, entitled "The economic impact of geospatial services", the research firm details how it set out to measure the benefit to consumers, businesses and the environment of free digital geospatial services like Google Maps. The report focused on 22 countries across the world, including South Africa. "Many geospatial services are provided free of charge to end-users, and so are not captured in estimates of consumer spending, despite many businesses and consumers deriving significant benefit," the report states. The value of geospatial services was examined in three areas: business benefits, consumer benefits (commuting, fuel and purchasing efficiency), and social and environmental benefits (such as traffic congestion, urban planning and emergency response). Google Maps provides routes for users to drive from place to place, but it also has information about businesses embedded in the app that tells drivers about their destinations, such as opening hours, contact details and reviews by other visitors. The report states digital maps have supported around R456 billion in sales for South African businesses by providing these useful facts. 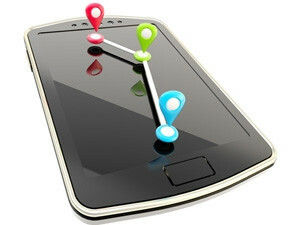 In a survey conducted by the research firm, it found 96% of the online population in SA use digital maps, representing about 50% of the total South African population. South African respondents also stated that, on average, they use info from digital maps six times per month to assist with their purchasing decisions. The research found that in SA, users save around 100 million hours per year from more efficient purchases through information on digital maps, which AlphaBeta says amounts to R5 billion saved. This number comes from working out the value of South African consumers' time based on local wage rates. The report also found digital maps reduce travel time by 7% on average in SA, and the value of this time works out to R11 million. With regards to personal safety, 36% of digital map users in SA state it helps them identify safe places (like police stations) when they feel in danger, while 42% say digital maps help them improve their safety when driving, by avoiding dangerous areas and monitoring speed limits. "At Google, we've long known how powerful digital mapping services can be," says Fortune Sibanda, public policy and government relationships manager at Google South Africa. "They aren't just a way of making it easier for people to get around; they're tools for exploration, business and education. "Digital Maps have become powerful tools for policymakers to ensure the safety of their citizens, and for companies and consumers to save time and money when managing their daily affairs. And their benefits are far bigger than people may think. We discovered that geospatial services not only make life easier ? by helping people turn their intentions of finding a place into actions of getting there ? but also support the global economy by creating tangible benefits for businesses and consumers," he says.